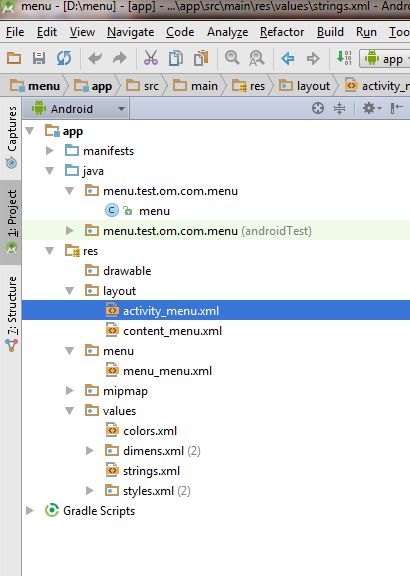 · It's easier to visualize the menu structure in XML. · It separates the content for the menu from your application's behavioral code. 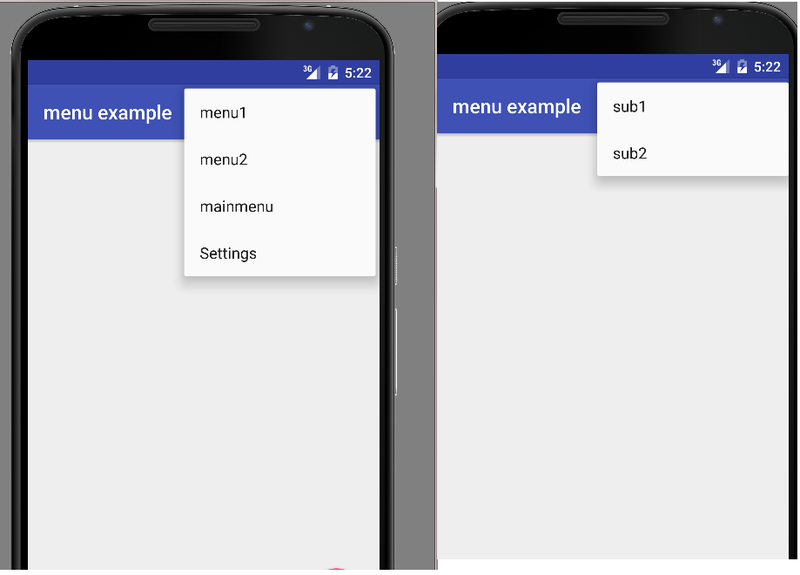 · It allows you to create alternative menu configurations for different platform versions, screen sizes, and other configurations by leveraging the app resources framework. Creates a MenuItem, which represents a single item in a menu. This element may contain a nested<menu> element in order to create a submenu.